Preview: Goliath Beetle is an acrylic painting on canvas board (11x14). The "model" is a Goliath Beetle exhibited at the Field Museum in Chicago. 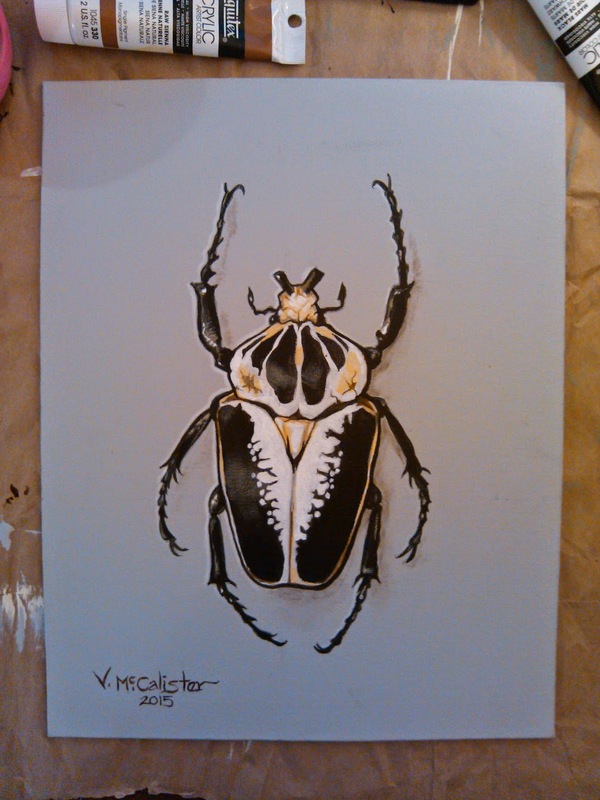 This is the first of a series of beetles and other insect paintings that will be offered for sale. More information and photos on this series will follow at a later date.